The ACA is a non-profit community-based organization dedicated to serving the Aiea community. The Aiea Community Association is accepting new members and renewing members. If you are interested in becoming a member, please come to one of our monthly meetings! The focus of this site is to be a web based community bulletin board for Aiea and a means of communication for the Aiea Community Association. Notices of upcoming meetings or events posted shall relate to the general interests of the residents of Aiea in some reasonable way. The beneficiary of the notices is to be the community and not individuals or commercial enterprises. Notices are intended to provide basic information such as time, place, and purpose of a meeting, but are not intended to advocate a specific position or action. For example, notice of events that focus on traffic, safety, zoning, Empowerment, the bike path, and meetings called by elected or non-elected officials to communicate public issues are intended communication. Open events that promote education or a sense of community such as a fair at Aiea High School or Leeward Community College, or a neighborhood Santa Clause parade, even if sponsored by merchants, are also acceptable events for notice. Notices of campaign activities, a sidewalk sale at a shopping center, or a meeting on a school mascot are to be excluded. Only notices where attendance or participation is open to the community are to be accepted. With the exception of membership fees for and contributions to the Aiea Community Association, no funds are to be solicited. Postings that may jeopardize the 501c3 status of the Aiea Community Association are not permitted. Email to the officers of the Association and links to obvious sources of community notice or information such as the Office of Environmental Quality Control or the County’s web site may be included. Links to other groups or individuals are not permitted. 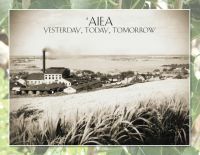 The web site may also contain information of general interest such as a history of Aiea or a meeting agenda for the Aiea Community Association. This notice is to be posted on the web site of the Aiea Community Association and is subject to change without advanced notice by a two-thirds majority of the voting members of the Association at a regular meeting.